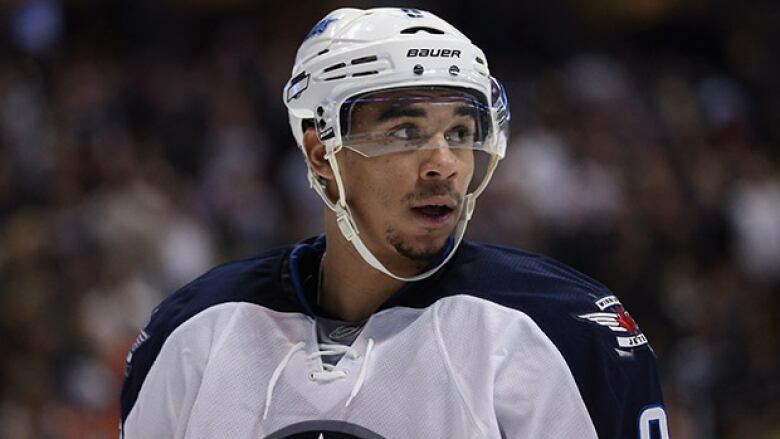 The fan support is outstanding, but Winnipeggers may run out of patience if Evander Kane and company can't deliver a playoff berth in Year 4 of the Jets' reincarnation. This is part of our series of quick season previews for the seven Canadian-based NHL teams. We've also covered the Vancouver Canucks, Calgary Flames, Edmonton Oilers and Toronto Maple Leafs. Last season's record: 37-35-10, 84 points, 7th out of 7 teams in Central Division, missed playoffs. Last season's story: The arrival of Paul Maurice appeared to inject life into a moribund team as the Jets won nine of their next 11 games after the head coach was taken off the scrap heap in mid-January. But it may have been a mirage, as Winnipeg went 9-10-5 to close the season, falling well short of the playoffs again. Bright spots included 10 goals by rookie defenceman Jacob Trouba (he didn't turn 20 until mid-season), career years by forwards Blake Wheeler and Bryan Little, and Dustin Byfuglien's first 20-goal campaign as a Jet. On the other hand, people seemed ready to give up on "immature" Evander Kane (he's 23, guys), Zach Bogosian battled injuries and ineffectiveness (again) and goalie Ondrej Pavelec...was Ondrej Pavelec. Key off-season additions: G Michael Hutchinson, F Mathieu Perreault, F T.J. Galiardi. Key off-season subtractions: F Al Montoya, F Olli Jokinen, F Devin Setoguchi. Best-case scenario: Maurice is able to coax a more structured effort from his players in his first full season behind the bench; Kane "matures" into a 30-goal scorer (he did it three seasons ago, but don't spoil the narrative); Trouba looks like a franchise defenceman in the making; second-year forward Mark Scheifele blossoms into a dependable two-way player; and the Jets win enough high-scoring games to stage the first NHL playoff game in Winnipeg since 1996. Worst-case scenario: Another summer of relative inaction by Kevin Cheveldayoff yields the same old results, and the GM is publicly criticized by Kane before being fired. The new guy dumps Kane for 50 cents on the dollar and he flourishes with his new team as the Jets finish last in the Central again and we all lament how Winnipeg's fans deserve much, much better. Which Canadian team will end Stanley Cup drought?